manila fashion observer: MFO x DwellStudio: Bubbly Mio! MFO x DwellStudio: Bubbly Mio! 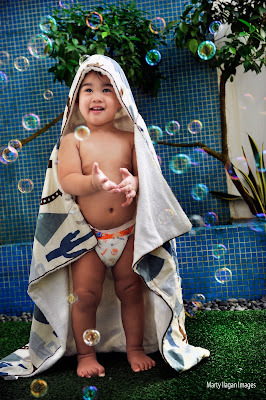 Playing with soapy bubbles is all the more fun when adorable Mio dries off with DwellStudio's Hooded Towel in Cowboy Dusk! DwellStudio Giveaway Ongoing! Voting ends August 22, 2010! Click --> here for details!